Fine Line Custom Home Builders in Calgary: Attached vs. Detached Garages? Attached or detached? It’s a question that custom home builders in Calgary face again and again when helping their clients choose a garage. As you consider layout options for your new custom home, consider the merits and drawbacks of both attached and detached garages. Both options have their pros and cons, with neither being inherently superior to the other. The decision often comes down to a matter of preference. Here in Calgary, we experience very cold winters, and that alone can make an attached garage a more attractive option. If you have an attached garage, you’ll never have a cold start to the morning again. 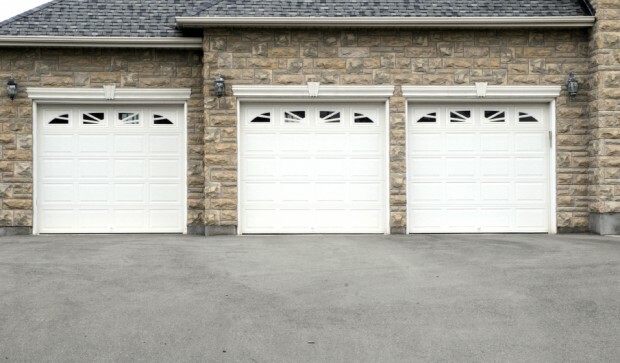 Homeowners also value attached garages because they can make the home appear larger, enhancing its curb appeal. More curb appeal leads to higher resale values, according to conventional wisdom. But there are also down sides to consider. First, conventional attached garages tend to be less energy-efficient, since they are typically connected to the home’s central heating and cooling system but have less insulation than other areas of the home. However, energy-efficient home builders like Fine Line Homes offer unique insulation options that neutralize this issue. Another drawback to consider is that attached garages tend to draw more air pollutants into the home. In addition to exhaust fumes produced by vehicles, power tools and other motorized equipment, dust and other types of fine debris can find their way into your vents through an attached garage. Custom Home Builders Calgary: Is a Detached Garage a Better Bet for You? Flip the drawbacks of attached garages on their head, and you can begin to see the selling points of a detached structure. You completely eliminate the problem of potentially introducing airborne contaminants to your home, and you won’t suffer any energy losses through the garage door or because of inadequate insulation. Detached garages also offer more privacy, which is ideal if you want to use the garage as a workshop or hobby space. They also offer fewer entryways into your home. A large percentage of break-ins occur through attached garages, so some people feel safer with a detached structure. On the down side, detached garages are less convenient. You’ll have to travel through the outdoors to go from your home to the garage, which can be an unpleasant experience on a freezing Calgary winter morning. Regardless of which option you choose, there are some universal principles you should always apply to your garage design. Insulation. Both attached and detached garages need proper insulation. It’s a more pressing issue with attached garages, but still you don’t want heat escaping from a detached garage during the winter if you’re using it as a workshop. Security. Beyond your car, your garage is likely to hold some valuable items like power tools. Make sure to incorporate strategies to deter thieves. Storage. You can never have enough storage space, but clutter isn’t the only thing to guard against. Some materials which are often stored in garages are flammable and/or toxic, and they need to be properly taken care of so as not to present a safety risk. Fine Line Homes is among the leading custom home builders in Calgary. Our expertly designed energy-efficient homes draw rave reviews from our clients, and tend to have better resale values than comparable conventionally built houses.